Kids and Colours Impressions from the Exhibition Opening – Freunde der Altstadt von Aleppo e.V. 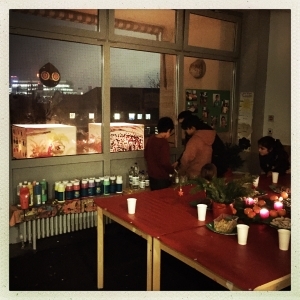 On 26 November 2018 our association celebrated the latest outputs of our “Kids and Colours” initiative in a refugee home in Stuttgart. The celebration took place with kids, parents, teachers, and association members. We thank all helpers and donators for supporting this small initiative to support te arrival of the kids and their families.